The prophecy | Learn about Greek Mythology,Greek gods,Greek mythology stories! 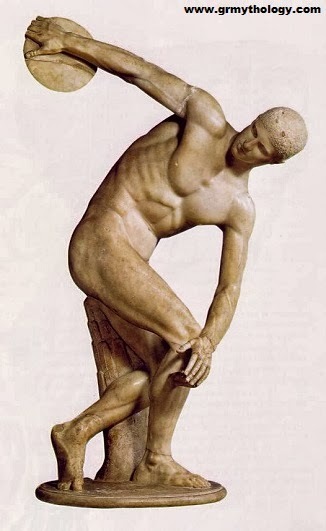 Perseus was a great athlete . He excelled in the discus , in running, in the javelin and wrestling. Some years, the regionals were held on the island of his grandfather , he decided to take part . The stage was full of athletes and the sports watching crowd, erupted into cheers oftenly . First the runners and the wrestlers competed . Then came the turn of discus . Perseus stepped forward , holding tight his disk . First he got the right position and then he threw the disc as hard as he could. The disk hurled away, but a strong wind took it out of its path leading it to hit the King Acrisius and kill him . So finally , a prophecy which was saying that the king would be killed one day by his grandson, was fulfilled, .